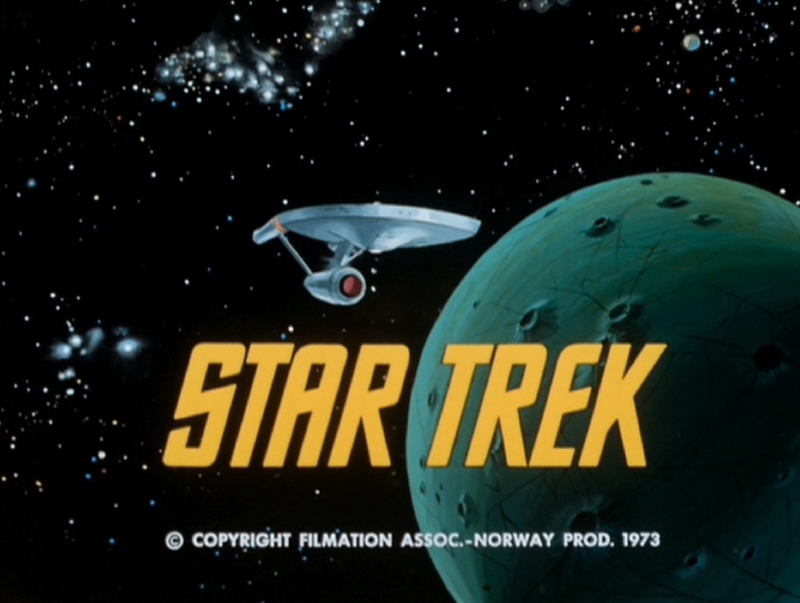 The Animated Star Trek series made its debut early on Saturday morning September 8, 1973. SEE: Note. The show ran one half hour long. Around April 1973, the NBC network gave the green light to Filmation Studios to produce 16 episodes for airing that Fall. After that, six additional episodes were ordered for airing the following year, bringing the total to 22 episodes. Below is a chart that lists these 22 episodes along with television airdate, stardate and Filmation production number. A small thumbnail picture is also shown so that the user can visually identify a particular episode. Each episode name is a link to an individual page devoted to that particular episode. The stardates are links as well, clicking on them will take the user to that particular episode's date in the Timeline page. A common question arises concerning the fact that there is no episode with production number #22012. There was no "lost" animated STAR TREK episode produced. The full answer about the "missing" production number is given on the Questions & Answers page. Most recently, the entire set of Animated STAR TREK episodes were finally released on DVD on November 21st. The set is available for around $39 from Amazon.com.